Posted on May 6, 2014 by thelostlighthouse	in Gaming, Video Games and tagged Bioshock, Bioshock Infinite, Bioshock Infinite Burial at Sea Episode 2, Burial at Sea, gaming, TLL, tllgaming, video games. Adam infrequently reviews games weeks after they are released because he has a job and can’t complete them fast enough. Potential minor spoilers (for Bioshock and Bioshock Infinite too) included. Burial at Sea Episode 2 is the final piece of DLC (and the second story based DLC) for 2013’s Bioshock Infinite. It was released for download on PSN, Xbox Live and for PC on the 25th March, developed by Irrational Games and published by 2k. It is PEGI 18 rated. Don’t worry, I will touch on Episode 1 (released back in November 2013), but it was quite a bit shorter and frankly only served as a set up for Episode 2. I should probably mention at this juncture that while I won’t explicitly spoil anything, the very setting and nature of both episodes can spoil the ending of Bioshock Infinite. Therefore, if you still plan on playing the full game (and I suggest you do), stop reading here. Still here? OK. 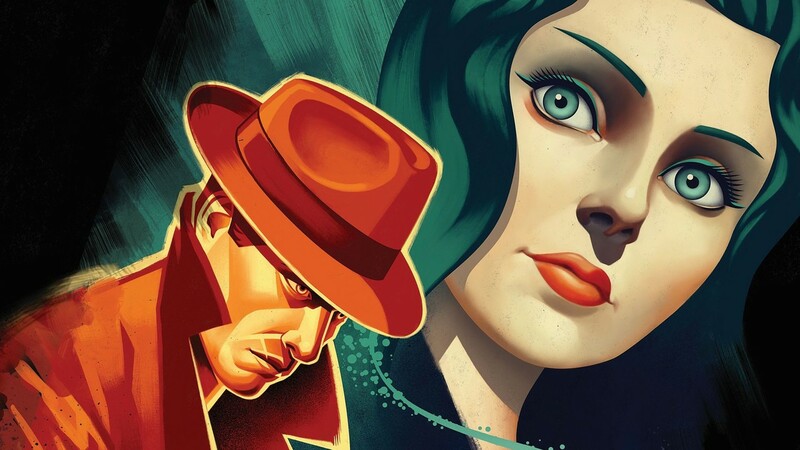 So Episode 1 of Burial at Sea put you once again in the shoes of Booker DeWitt, but this time in the underwater city of Rapture, the setting for the original Bioshock and Bioshock 2. He is soon contracted by Elizabeth to track down a missing girl, only this time Elizabeth appears as a sultry femme fatale rather than a scared imprisoned young woman in need of rescuing. Being back in Rapture, vigors are now plasmids again, splicers and Big Daddys can be seen around, and the odd familiar face makes an appearance. It is fun, and the story is certainly intriguing, but it is a bit on the short side. It clocks in at around 1 1/2 to 2 hours, and it cost £9.99 when it was released. I understand quality over quantity, but the episode moves along at breakneck speed without giving you much to explore around the core story, so the quality that is there seems almost wasted. It was still enjoyable, and if you opted to go for the season pass (£15.99) you basically pay for Episode 1 and the combat based DLC Clash in the Clouds, and get Episode 2 for free. I found that Episode 1 was in fact the precursor for Episode 2 anyway. So in Episode 2, you actually play as Elizabeth. You are still in Rapture, continuing the same story, but for reasons I don’t want to spoil, Elizabeth has lost her ability to open up tears. She is not only therefore stranded in Rapture unless she can find away to regain her powers and a way out, but she has also lost her advantage over aggressors. As such, the game is much more stealth-based than any Bioshock prior to it (especially Infinite). This makes for an interesting shake up in the gameplay, giving you opportunity to drink in the dank, oppressive surroundings of the city we know so well at a time just before the total fall into chaos. You crawl into vents and creep around to get the jump on unsuspecting enemies, and a smack to the back of the head or a tranquiliser dart are much more effective than a handgun or shotgun. You get to utilize Elizabeth’s intelligence and studious nature in a few problem solving situations as well. Elizabeth herself is a lot of fun to play as, and is a great character in herself. I found that in all the characters introduced in Infinite, she was the one who almost felt alive. Many of the supporting cast felt a bit flat, with very few exceptions. Elizabeth talks to Booker via radio throughout the story, bouncing ideas of him as she attempts to find a way out of her situation. This involves helping Atlas, well known from the first Bioshock. However, at this stage he isn’t even trying to hide his ruthless nature. The story intersects with that original story in a couple of interesting ways. For example, we witness first-hand the grisly ultimate fate of Dr. Yi Suchong, where previously in the first game we only found his body and an audio recording of his death. We are also forced to experience a fairly grim torture scene, and I’ve seen plenty of comments on the subject elsewhere on the internet. It was unpleasant, possibly (probably) unnecessary, but I don’t think it bothered me all that much and it certainly made me feel the tension and the stakes. Burial at Sea ends by going to great lengths to actually link Bioshock Infinite to the events of the first Bioshock. I’ll leave you to judge how neatly it does this, and what you think of the ending. Personally, I wasn’t a big fan of it, but I appreciate what they were trying to do. The execution wasn’t bad at all either, and I have always wanted the games to link in some small way (though I think just having Rapture as the destination inside one of the infinite lighthouses was probably enough for me), but the ending itself just didn’t ring true to me. It took the grandeur and scale of the end of Infinite, and made it feel all seem meaningless. Despite this though, I enjoyed Burial at Sea Episode 2 a great deal. It took elements I loved about all 3 Bioshock games before it and introduced some interesting new gameplay elements, gave me the chance to control a different sort of character to the standard brawny male protagonist typical to this sort of experience, and it all took place in one of my favourite fictional locations of all time with very much updated graphics. Rapture looks gorgeous in this instalment. However, I do wish that this was actually a full game. The length was fine for what they were aiming for, and at around 3-4 hours for the same price as the first episode, a lot more value for money (quality and quantity!). But I wanted more of this Rapture, with this character as the lead. 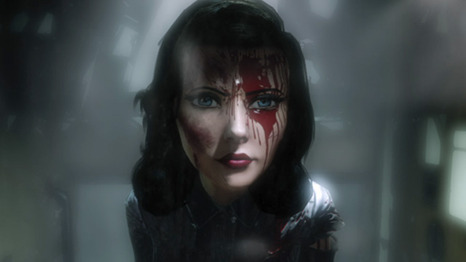 What really would have worked for me would have been Burial at Sea Episode 1 to be a Ground Zeroes-style prequel episode to full-length stealth-based game with Elizabeth in Rapture, as Irrational’s swan song for their contribution to the Bioshock universe they created. This will do nicely though.